The booties are absolutely adorable but I have one question....just how difficult are they to actually put on your babies feet? Looks like that would be a challenge. Not difficult at all! My little guy is a squirmer and all I have to do is slide his toes in, grab the tab at the back of the bootie and pull. 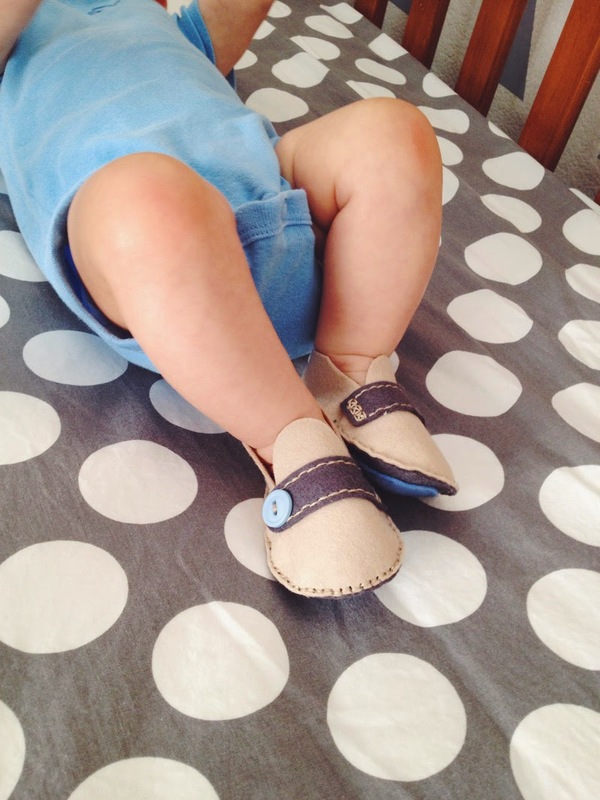 He is close to outgrowing them so they fit nice and snug, yet they are still easy to put on. Hope that helps. So stylish - he's rocking those shoes! 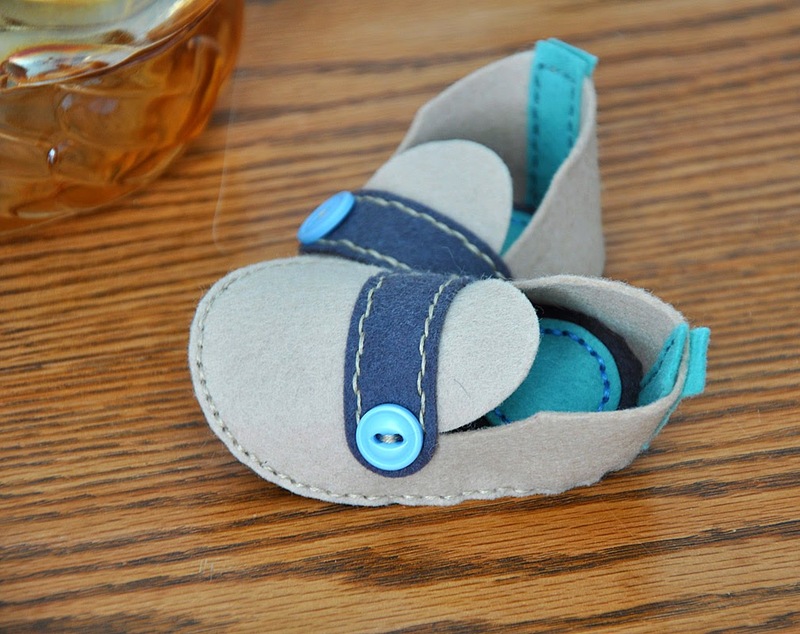 Cute booties, beautiful presentation! 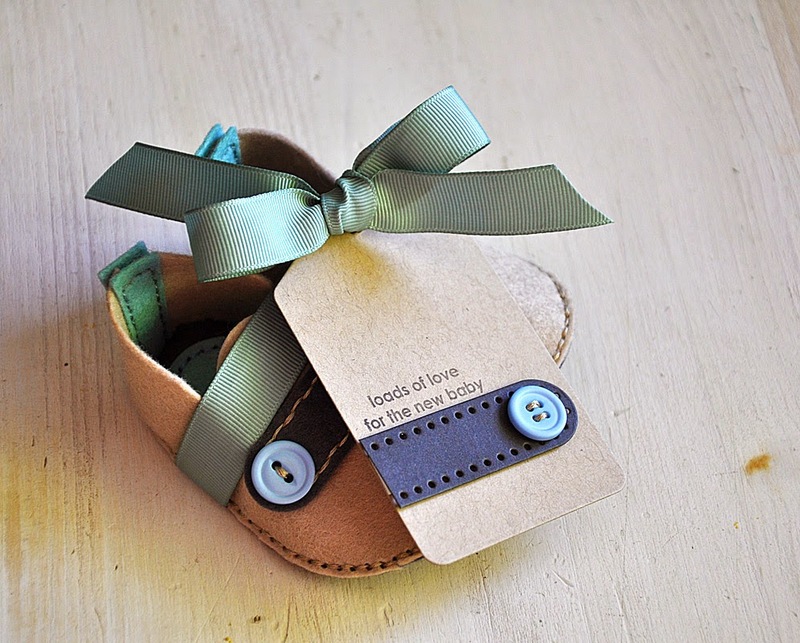 Love the card and tag - perfect to go with the booties! Adorable bottles . Love the set. 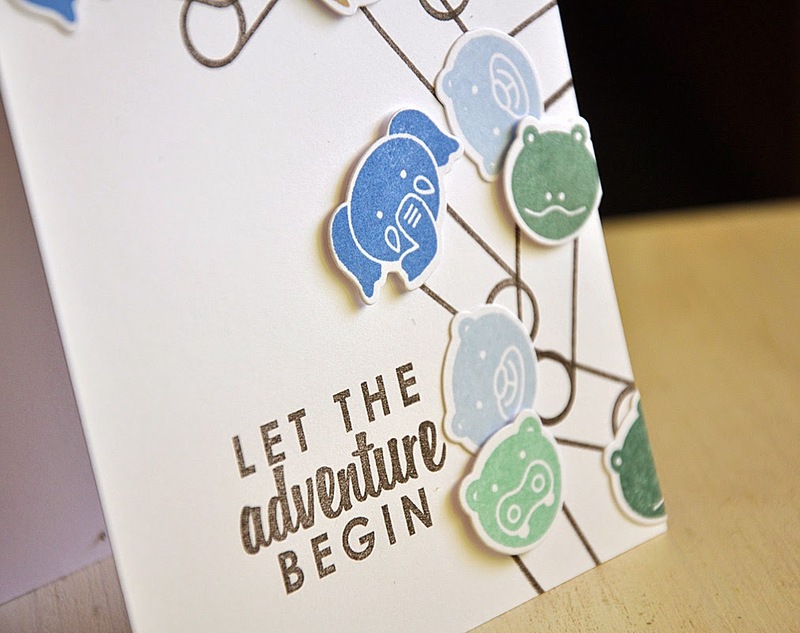 I love the card with the safety pins...so fresh and new...just like a baby! 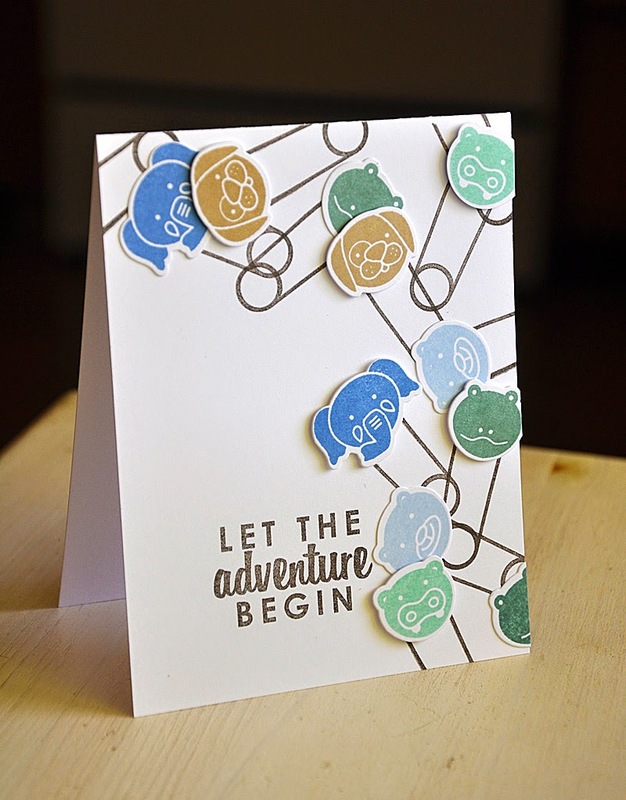 Love all your projects,so cute,such sweet new products! Maile your projects are awesome. 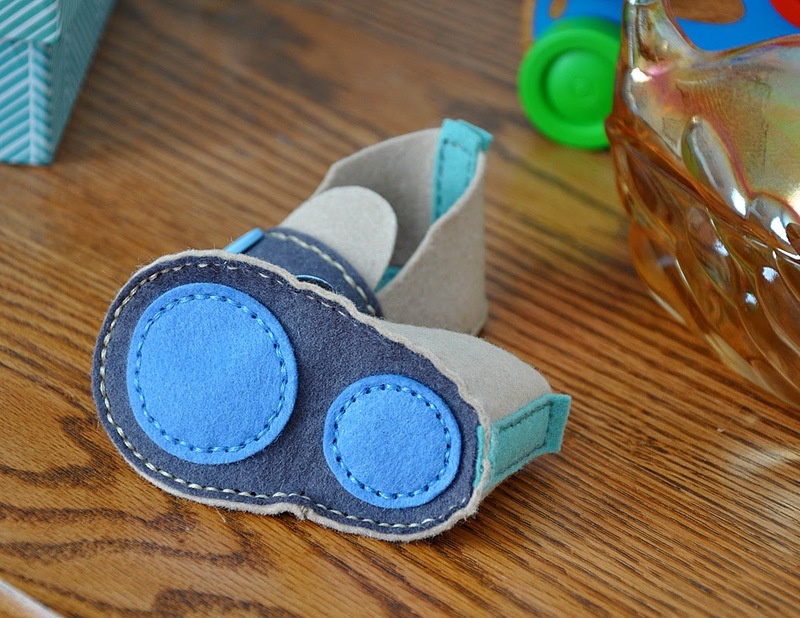 Love the colors you chose for you booties. Your card is super cute as well. 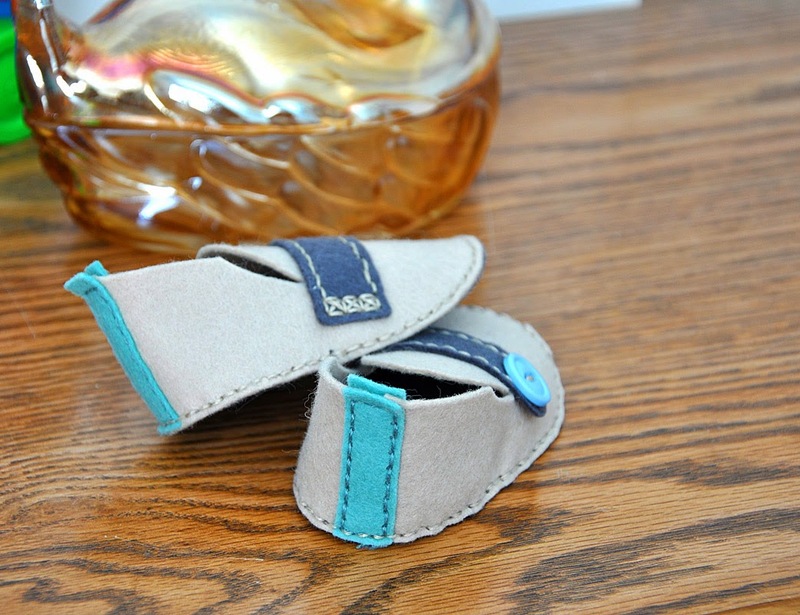 These are adorable and even cuter ON your little guy! 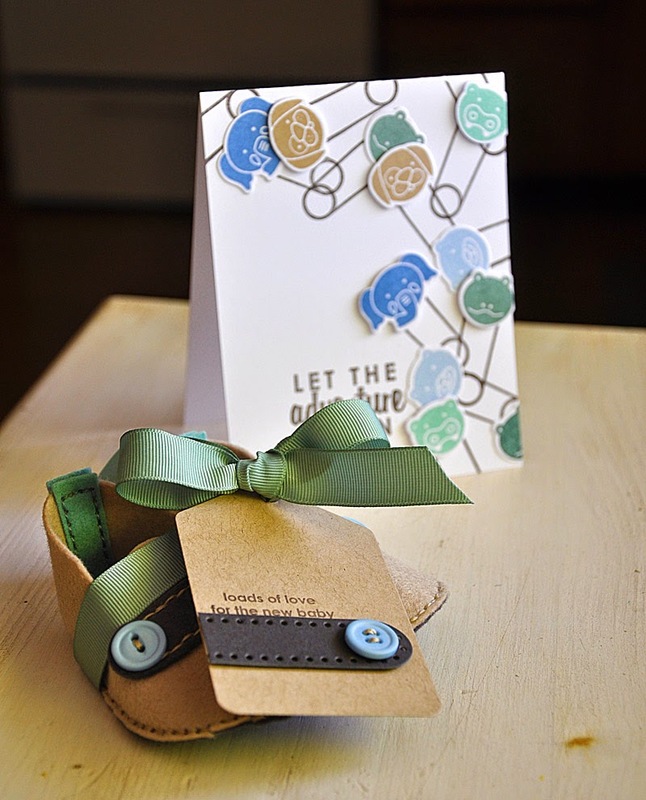 Love how you mimicked the design on the tag and card is fab, too! These are all so cute, and they look even cuter on a baby. Of course the booties are adorable, but what I really love is the duck dish. I have seen lots of chickens and even a turkey and a swan but never a duck. Is it an antique find or can I buy one somewhere?